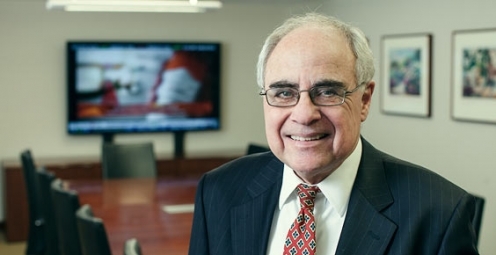 Myron Kaplan, a founding member of the firm, has extensive experience representing hedge funds as outside general counsel and special counsel. He is involved in the formation, operation, and continuity of these funds and advises funds and their managers on structural and organizational matters and continuity planning as well as ongoing regulatory, governance and compliance issues. Myron has experience in all aspects of executive compensation, including the design and implementation of compensation plans and negotiating executive employment contracts. Myron also counsels clients regarding partnership formation as well as partnership dissolution. Myron represents companies in a broad spectrum of industries and works on financings, mergers and acquisitions, governance issues, distribution and license agreements and joint ventures. He has served as a director of a number of public companies and nonprofit organizations. Myron has been named a New York Super Lawyer from 2006-2017, and in the 2009 Corporate Counsel national edition of Super Lawyers as one of the top attorneys in corporate and securities law.